Mennonites have always been known as a migrant people, whether moving from Switzerland to North America, from the Netherlands to Prussia and Ukraine, and from Europe to South America and eventually to Canada. A significant move mainly in the last few decades, however, has been the migration from rural areas to cities. 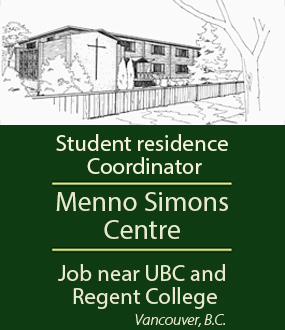 In 1951, only 20 percent of Mennonites in Canada were urban, with 65 percent being rural/farm dwellers. By 1981, those numbers had nearly reversed. Today, 51 percent of Canada’s 200,000 Mennonites are urbanites, with only 23 percent living in rural communities or on farms. Located on East 52nd Street in Vancouver, First United is one example of how an urban congregation changed considerably in the last few decades. The congregation was established in 1947. Following the Second World War, new job opportunities abounded, and Mennonites flooded into the city. From fewer than 100 members in 1950, the congregation swelled to up to 500 in the 1960s through to the early ’80s. Growing young families meant a large Sunday school, club program and children’s choir. Not only was German the dominant language at First United, the area around 52nd Street became known as “Little Berlin” because of the many German-speaking people living there. A large number of the congregants lived very close to the church. Neighbourhood was community. Various factors—including the high cost of living, as Vancouver is now the most expensive city for living in North America—have gradually driven younger people out of the city, resulting in declining church membership. A Spanish congregation was established at First United in 1986, reflecting a change in the neighbourhood. Currently, the congregation has 204 members, with weekly attendance around 65. These days, the area around the church has a much more diverse ethnic makeup than it did a generation ago. First United has responded to welcoming newcomers by establishing a drop-in centre two afternoons a week for neighbourhood children in grades 5 to 9. The Wednesday program is an informal time of relating through snacks and play, including video and board games, and basketball in the parking lot. According to Pastor Lydia Cruttwell, those attending are from “a whole mix of cultural backgrounds—Filipino, Punjabi, Spanish, Native, Korean, Bangladeshi, Afghani—some who’ve been in Canada for years and some who’ve just arrived recently and are still learning English.” About 20 to 30 children attend these weekly activities. The Thursday Talks program is a bit more structured, focussing on exploring faith through storytelling, learning about God and making good choices. Between five and 15 regularly attend this program. While First United’s church members used to run these youth programs, growing the program was difficult with a limited number of volunteers available on weekday afternoons. 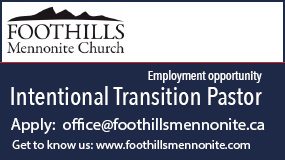 Thanks to a generous donation in a former member’s will, the congregation has been able to fund a community engagement worker position for the last few years. Last fall, First United also began hosting community dinners, usually once a month on a Thursday, inviting families of the drop-in centre children, people who live near the church and students who attend English classes held in the church’s education building. It also hosts a community garden and supports Welcoming Newcomers Kingcrest, which helps immigrants through English-language learning. Elsewhere in the city, Chinatown Peace sits on East Pender Street in the heart of Canada’s largest Chinese community. 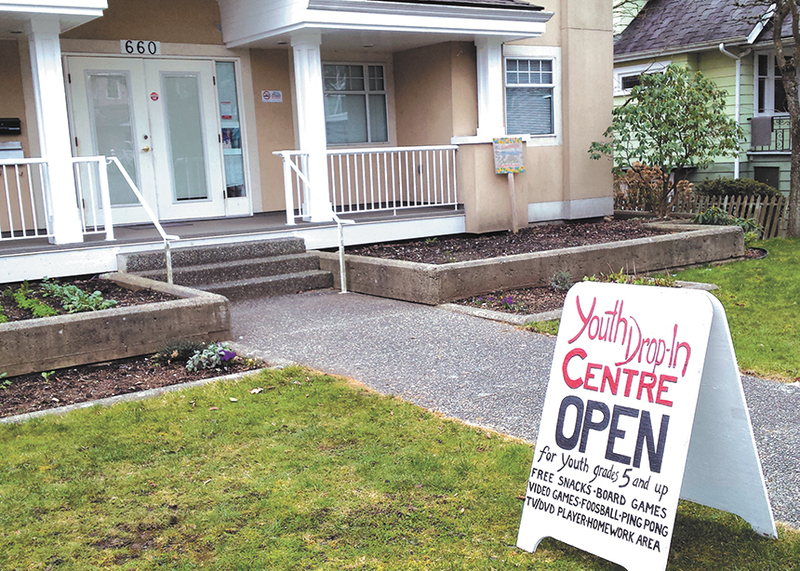 Formerly known as Vancouver Chinese Mennonite Church, it changed its name earlier this year to be more inclusive of the neighbourhood. With the area undergoing gentrification and other changes, the congregation wants to maintain a reputation for seeking authentic relationships with those nearby. “We’ve taken on the motto ‘Being a living room for Chinatown,’” says Tim Kuepfer, the church’s English pastor. A Cantonese-speaking congregation meets separately. The 40-year-old church building has replaced its wooden front doors with more inviting glass ones and has removed the fence around the property, originally put up to discourage vagrants and drug users. Although opening the space means there is now more garbage around the building, it also allows for a new project of community garden boxes. Inside the building, pews have been replaced with chairs, allowing for more flexibility for congregational fellowship. A video on the church’s website (chinatownpeace.ca) describes its mission and welcomes visitors. “Our vision is to be a community of authentic relationships in which we learn how to love God, love one another and love our neighbourhood,” explains Kuepfer. Chinatown Peace has also planned a banquet for 70 to 100 bicycle couriers, cyclists who run parcels between office buildings in downtown Vancouver. Kuepfer describes the group as a “tight-knit and somewhat marginalized community,” and the congregation hopes to make some continuing longer-term connections already established over many years by Mennonite volunteer Herb Reesor, who has been sharing bread with the couriers once a week. The city of Winnipeg is home to 20,000 Mennonites, the largest concentration in Canada. Jubilee is situated in a low-income neighbourhood of North Kildonan surrounded by subsidized housing units, single-parent families, newcomers to Canada and a large Indigenous population. With an attendance of 70 to 80 people, the congregation is not large, but its outreach in the community is sizable. 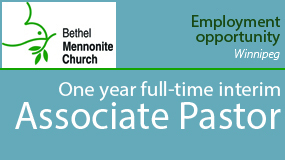 It holds joint membership with Mennonite Church Canada and the Mennonite Brethren. 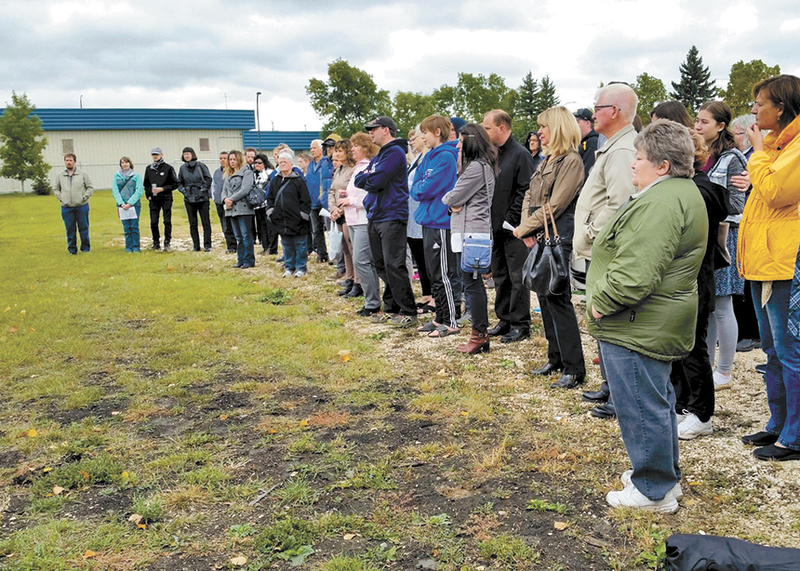 According to Anna Marie Geddert, the community outreach pastor, Jubilee has established itself as a presence in the community with the attitude of “God is already working in the neighbourhood. How do we as churches follow?” While churches used to be community-based, observes Geddert, this is no longer the case, and many North American churchgoers probably don’t know the names of even eight neighbours around them. She sees herself as a bridge between church and community. Programs Jubilee offers include an emergency food pantry and a clothing exchange. Circles for Reconciliation bring together Indigenous and non-Indigenous peoples for conversation, and church members periodically do prayer walks in the neighbourhood. A Neighbourhood Grounds group organized by local women welcomes anyone interested to come for coffee and visiting. At Christmas time, the church sponsors a community dinner and hosts an afternoon high tea, to which those attending bring a new, nonviolent toy as their admission. Neighbourhood parents can then purchase Christmas gifts at the church’s “toy boutique” for a nominal price. Jubilee has intentionally chosen to utilize the green space on its property for recreation and gardening rather than expansion of church buildings. “How can you love nature if you don’t hang out in it?” Geddert wonders. Children who live in nearby low-income Manitoba Housing units appreciate the play space, and 30 community garden plots make for good habits of growing and eating nutritious food. The church has also built a fire pit, further encouraging group gatherings and fellowship. Geddert says that Jubilee is firmly invested in its community but is less concerned with numbers of people coming to church programs than with the impact those programs have on people. She believes that establishing relationships takes time, and sharing the gospel is best done through hearing each other’s stories. The 10 largest cities in Canada—Toronto, Montreal, Calgary, Ottawa, Edmonton, Mississauga, Winnipeg, Vancouver, Brampton and Hamilton—all have Mennonite Church Canada congregations except Brampton, which is situated in an area of southern Ontario with a number of nearby Mennonite congregations. Over the last 50 years, Canadian Mennonites have become more urban. How has this movement from rural to urban areas affected your congregation? How are city churches different from rural ones? Do urban churches have more opportunities to serve their neighbourhoods? Do rural churches know more of their neighbours? Amy Dueckman mentions many different ways that First United Mennonite Church and Chinatown Peace Church in Vancouver, and Jubilee Mennonite Church in Winnipeg, have reached out to their local communities. Which of these programs would you consider trying in your congregation? Which would you find most challenging? Do you think these congregations expect their community service ventures to increase attendance at their church? What expectations do they have? What is necessary for a service project to be sustained long-term? How does your congregation reach out into the community? How important is it for churches to serve the local community? Are there projects from the past that your congregation has discontinued? What are some new possibilities for your congregation?